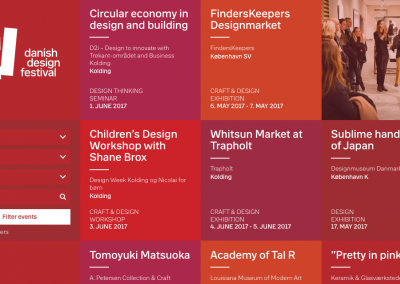 Copenhagen Design Agency won the project competition to develop and implement the brand strategy, visual identity and website for Danish Design Festival. Communication, brand strategy, visual identity and website. 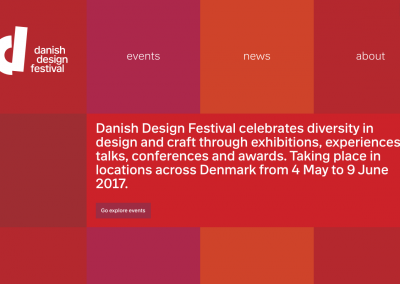 Copenhagen Design Agency won the project competition to develop and implement the brand strategy, visual identity and website. The project management and execution was a significant factor since the new identity and website had to be developed and implemented in less than 7 weeks. 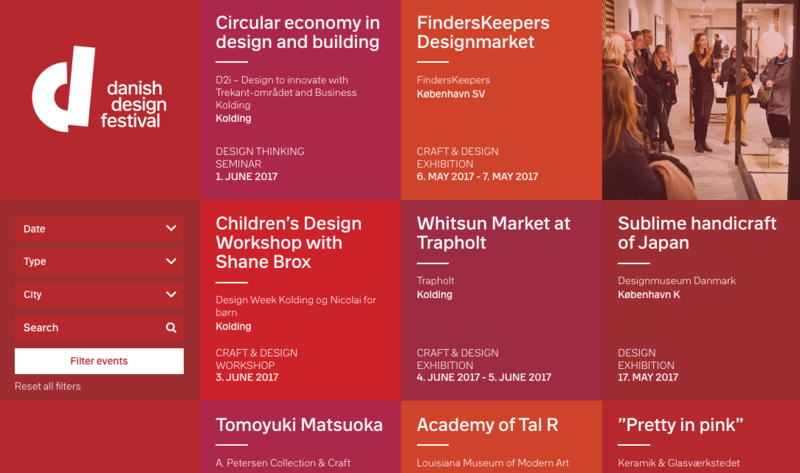 In this project, Copenhagen Design Agency joined forces with graphic design studio Rasmus Koch Studio, digital agency Ruby Studio, and design journalist Anna Winston. 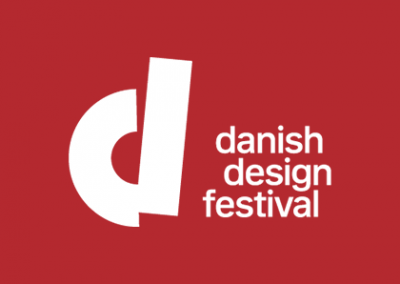 Danish Design Festival is a significant new initiative, uniting Danish design events and organisations for the first time. 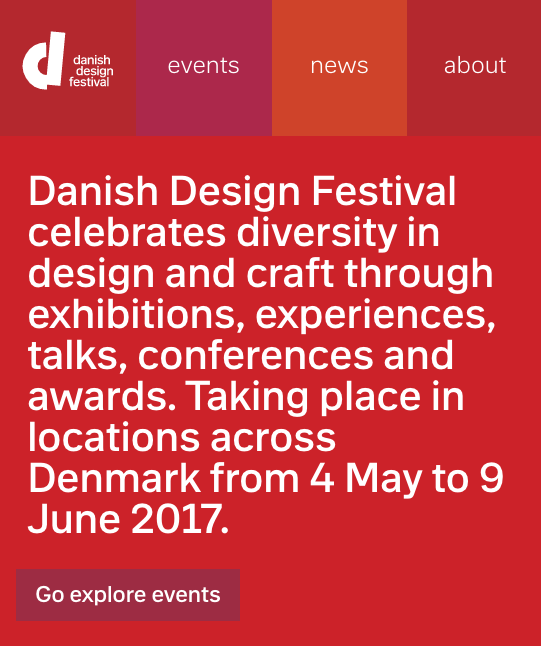 Taking place in locations across Denmark from 4 May to 9 June 2017, the first edition of the festival will promote and celebrate diversity in Danish design and craft through exhibitions, experiences, talks, conferences and awards. 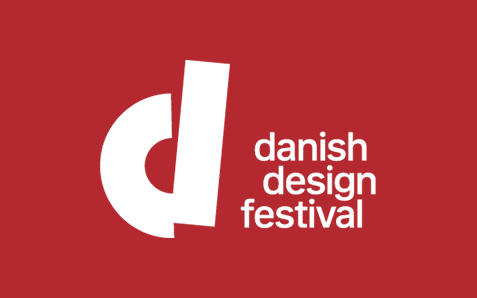 The festival will encourage open debate around Denmark’s thriving and internationally respected design sector, foster collaborations and uncover fresh talent. 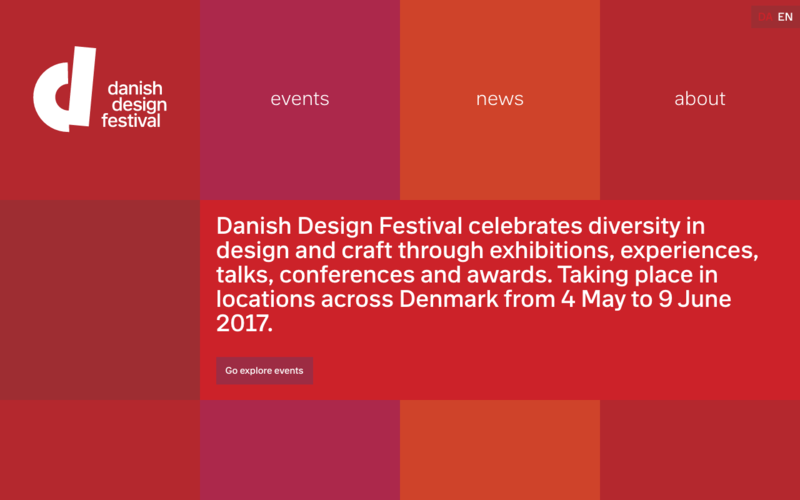 It will also spotlight new solutions for industry and create business opportunities for Danish and international design businesses. The 2017 edition will act as a prototype, with plans for the festival to grow larger over the next few years.